This beautifully written book, now in its second edition, tells the haunting saga of a quintessentially American family. In the late 1790s, Shoe Boots, a famed Cherokee warrior and successful farmer, acquired an African slave named Doll. Over the next thirty years, Shoe Boots and Doll lived together as master and slave and also as lifelong partners who, with their children and grandchildren, experienced key events in American history—including slavery, the Creek War, the founding of the Cherokee Nation and subsequent removal of Native Americans along the Trail of Tears, and the Civil War. This is the gripping story of their lives, in slavery and in freedom. Meticulously crafted from historical and literary sources, Ties That Bind vividly portrays the members of the Shoeboots family. Doll emerges as an especially poignant character, whose life is mostly known through the records of things done to her—her purchase, her marriage, the loss of her children—but also through her moving petition to the federal government for the pension owed to her as Shoe Boots's widow. A sensitive rendition of the hard realities of black slavery within Native American nations, the book provides the fullest picture we have of the myriad complexities, ironies, and tensions among African Americans, Native Americans, and whites in the first half of the nineteenth century. 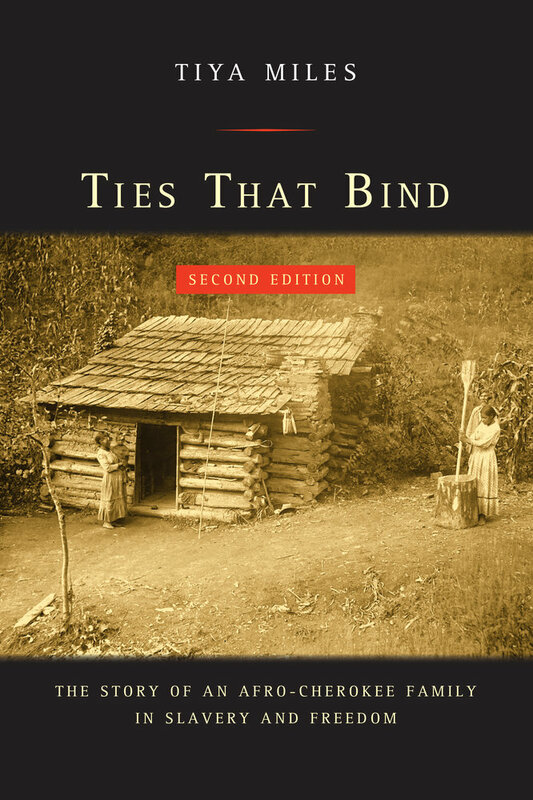 Updated with a new preface and an appendix of key primary sources, this remains an essential book for students of Native American history, African American history, and the history of race and ethnicity in the United States. Tiya Miles is Professor of History and American Culture at the University of Michigan, Ann Arbor. She is the author of The House on Diamond Hill: A Cherokee Plantation Story and The Cherokee Rose: A Novel of Gardens and Ghosts. Among other notable prizes and fellowships, she was awarded a MacArthur Foundation Fellowship in 2011.